I knew how she felt. At my previous church, I had to stop going to Mothering Sunday services. I don’t know which hurt more – contemplating the children I don’t have, or the mother I don’t have. It really rubbed salt in the wound to watch flowers being handed out to all the mums in the congregation, while I sat empty-handed and empty-hearted. Many single women – and indeed men – find Mothering Sunday a painful experience (as do many who are married but childless). Some of us have yearned for children for years or even decades. Some may hold out hope that time hasn’t yet run out – while others have had to accept we’ll never have the family we dreamed of. It may never have occurred to your church leader what Mothering Sunday is like for someone who is childless. Have a chat with them and explain that, although you want to support and celebrate mothers, there are many in the church for whom it will be a painful experience. If you feel up to it, you could offer to help plan the service, including acknowledgements, prayers and blessings for those who are struggling with childlessness. You could even offer to write and lead some prayers, if it wouldn’t be too painful for you. At my current church, Mothering Sunday services honour the mums in the congregation, but also remembers those who grieve for the babies they’ve lost – or the ones they’ve never had. We celebrate the women who’ve been a mother figure to those they haven’t given birth to. We remember the mums we have, and the mums we miss. We light candles for those whose mothers weren’t what they should have been, or who’ve spent a lifetime yearning for the mother they never had. It’s a wonderful way of including every member of the Body, and I no longer avoid church on this sensitive day. 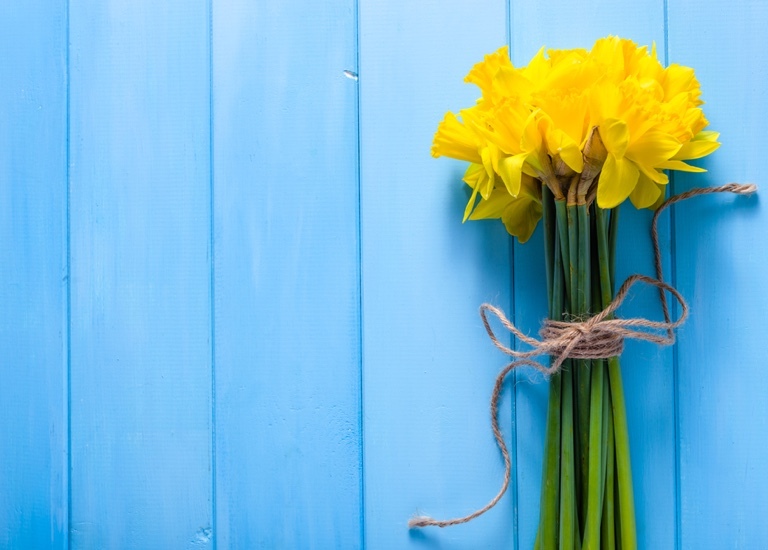 If your church’s Mothering Sunday service acknowledges the grief of people who don’t have the children they long for, it may bring you comfort and help you on the road to healing. Don’t be afraid to cry or ask for prayer – you won’t be the only person there dealing with painful feelings. However, if Mothering Sunday services stir up too much raw, painful emotion, give yourself permission to stay away. You’re allowed to protect yourself from painful experiences, so you shouldn’t feel guilty (or allow others to make you feel guilty) if you take a Sunday off. You may want to plan something completely different to take your mind off it – a day out with friends or a weekend away. It may be a good idea to stay away from social media too, as there’ll be endless reminders of the joy of motherhood. On the other hand, you may prefer to spend some quiet time with God, and perhaps even create your own ritual to ease your grief, such as lighting a candle and writing a letter to the child you never had. None of us knows the good things God has in store for us in the future. Some women discover, to their surprise, that time hasn’t run out to have children after all. Others become a mother through ways other than giving birth – they may become a loving stepmother, or pursue adoption or fostering. And some find themselves in a motherly role to nieces and nephews, friends’ children, or kids in their church or neighbourhood who need a loving adult in their lives. This may not be exactly what you dreamed of, but many Christians look back in later life with happiness and satisfaction at the path God has taken them on, and can see that ‘all things work together for good to them that love God’ (Romans 8 v 28). So give your hopes and fears to God, and try to remain hopeful for a happier future. You can find more support about this and more on the Single-friendly Church website.